I decided to check out Mel Brooks' History of the World Part I. When I was a kid, I loved Brooks' works, but that was a long time ago, and I haven't felt that way in quite some time. Based on that background, I didn't expect to enjoy World but I figured I'd give it a shot. Ultimately, my original fears proved correct: this film offers a tremendously lame and unfunny experience from start to finish. Even as someone who isn’t wild about Brooks, I thought it seemed very weak. History of the World, Part I appears in an aspect ratio of approximately 2.35:1 on this single-sided, double-layered DVD; the image has been enhanced for 16X9 televisions. I can’t say I expected much from this transfer, which was why this picture’s high quality stunned me. Sharpness consistently seemed strong, with almost no instances of softness to be found during the movie. A few wide shots looked very slightly ill-defined, but none of these examples caused concerns. All were brief and minor, so the vast majority of the flick appeared crisp and distinctive. No signs of jagged edges or shimmering occurred, and I noticed no edge enhancement. In addition, the film suffered from virtually no source flaws. It always looked clean and fresh. Colors seemed nicely bold and accurate, with some especially lush and rich reds on display at times. All the hues looked quite good and were quite lively. Black levels were dark and deep, and shadow detail seemed appropriately opaque without any excessive heaviness. This was a consistently excellent transfer. On the other hand, the film's monaural audio appeared much less impressive. (Although the DVD’s case claimed it offered a stereo mix, that wasn’t accurate.) Dialogue betrayed slight edginess once or twice but the lines generally sounded reasonably concise. However, those components tended to be a little flat. When I compared this 2006 release to the old DVD from 1999, I found that both offered identical extras and audio. However, the new edition presented substantial improvements in picture quality. It was cleaner, better defined, and generally superior in almost every way. The anamorphic transfer offered a substantial step-up in quality over its predecessor. History of the World Part I stands as a perfectly dreadful flick. If there's any fun to be found in this clunker, I must have nodded off during those scenes. The DVD itself provides excellent picture along with adequate sound and almost no extras. 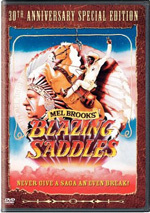 Unless you're an absolutely fanatical Mel Brooks fan, skip this one, as it isn't worth the effort. 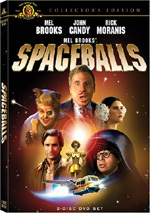 Note that this version comes as part of the eight-movie “Mel Brooks Collection”. It also includes The Twelve Chairs, Young Frankenstein, Silent Movie, High Anxiety, Blazing Saddles, To Be or Not to Be, and Robin Hood: Men In Tights. 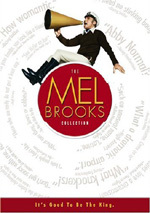 The “Mel Brooks Collection” packages all eight movies together with a list price of $99.98.